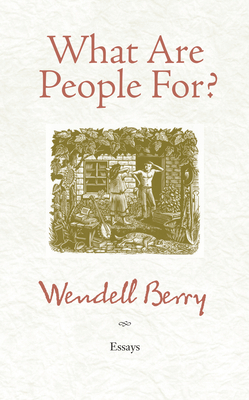 Dive into this beautiful collection of essays from the great conservationist, poet, novelist, and overall rationalist Wendell Berry! Ranging from literary criticism to agriculture to land ethics, These essays highlight his fundamental life philosophy of moderation. His prose is among the best I’ve ever encountered. Once I finish an essay I feel as though every word was exactly as it should have been. In a time that is troubled both politically and environmentally, he speaks with a voice of undeniable reason. Ranging from America's insatiable consumerism and household economies to literary subjects and America's attitude toward waste, here Berry gracefully navigates from one topic to the next. He speaks candidly about the ills plaguing America and the growing gap between people and the land. Despite the somber nature of these essays, Berry's voice and prose provide an underlying sense of faith and hope. He frames his reflections with poetic responsibility, standing up as a firm believer in the power of the human race not only to fix its past mistakes but to build a future that will provide a better life for all.